One of my deepest desires is for our family to be marked by godliness… that we would be a group of people marked by faith, Christ-like character, joy, and peace. But as I hear my kids arguing about whose turn it is to walk the dog, or as I hear one child say something mean to one of their siblings, or as I hear myself speak to a child in anger instead of grace, I wonder if godliness will ever be the mark of our family. While there are many wonderful resources out there that can and should be used for family worship, discipleship, and personal growth in the faith, I have come to realize that the most essential component of a godly family is the cross of Jesus Christ. Without it there is no salvation, and apart from our salvation there is no godliness. The cross should be everything to the Christian as well as the Christian family. 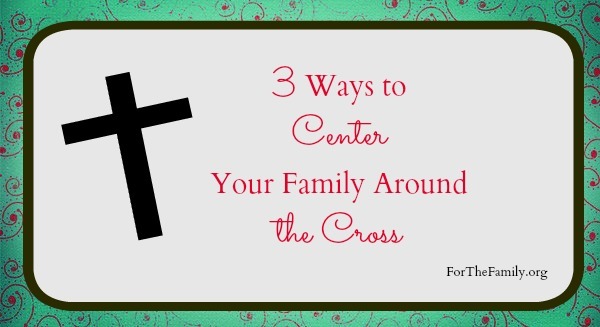 Whether you are single or married, without children or have a whole gaggle of them, the cross must be the central part of your life and the life of your home. I’m not merely talking about the cross as the instrument of torture and death upon which our Savior suffered and died. Jesus’ sacrifice for our sins is what rescues us from death and hell and leads us in a new life of self-denial and grace. 1. Go to the cross to repent. We all mess up. I can’t tell you how many times I have barked at the ones I love the most. Therefore I need to repent of those sins which required Christ to go to the cross in the first place. Repentance is a godly sorrow marked by a willingness to walk in the ways of God. David talks about being broken-hearted over his sin. Do we feel this way? 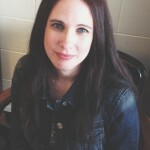 Do we teach (and model) repentance to our children? A godly home is marked by repentance. 2. Go to the cross for grace. That we need to repent daily is evidence of our sin, failure and weakness. But we need much more than that. We are needy people who are desperate for God’s undeserved kindness to not only cleanse, but also help. The cross is the means by which God’s grace comes to us. Without the cross we would receive what we deserve, Hell. But instead we receive God’s patience, love, generosity, kindness and compassion. So when we mess up we go to the cross and there we will see God dealing kindly and gently with us reminding you and me that the penalty has already been taken care of, the guilt has been erased and righteousness has become our own and in turn we are to deal the same with those around us. A godly home is marked by grace. 3. Go to the cross for strength. Training our children, building strong marriages and dealing with our own shortcomings can become overwhelming. It can seem an insurmountable mountain that we are trying to climb while Satan whispers lies and discouragement, hoping that we will give up. Here, the cross rescues us again. It lifts our downcast hearts and shows us that true strength doesn’t come from ourselves. What we need is a supernatural strength that can only comes from Christ. A redeemer who satisfied the wrath of God and kicked death in the teeth will surely have enough power to help us overcome our weaknesses and discouragement. It is a power he readily gives because of his great compassion and love for his children. A godly home is marked by Christ’s strength not our own. The cross is not only for the death of sin, it is also for the birth of godliness. Make the cross the most precious thing in your life and teach your children to treasure and love it just as much if not more. I need help I letting stuff go..growing in my faith and not to worry so much..I peay to have a great relationship with God. I can understand the message you are trying to portray in this article and you are right in saying that we need to repent everyday and pray for strength. The part I have an issue with is that you repeatedly say go to the cross and make it the center of your life. That is idolatry. Jesus should be the center of your life and not the instrument used to kill Him. Without Jesus it would still be just an instrument of death. We as Christians need to be more careful of the words we use because we may lead someone astray from the true message of Jesus Christ our Lord. This was a great read and has a lot of truth in it but be careful not to put a stumbling block out for your brothers and sisters and those that don’t know much about Christianity. There is a different between worshiping a wooden cross as an idol and talking about the cross as a summary for all that Christ has done for us. We cling to the cross not because that piece of wood has any power, but because on that cross Christ’s power over sin and death was displayed. It was on the cross that Jesus made perfect atonement for our sins, satisfied the father’s wrath, bought for us perfect righteousness, and eternal life. We celebrate the cross because of what Christ did, not because it is a piece of wood. Hope that makes things a bit more clear. nickie steele, I think you would love the devotional “Jesus Calling”! It really helps with trusting God and letting go of worry! I will be praying for you! Beautiful post! Made my heart soft towards Jesus. Focusing on the cross makes one’s heart yearn for him!